Nine weeks, 8,000 miles, 20 murals, 13 cities, and dozens of species going extinct every day. Last Autumn we worked on our biggest and most ambitious project yet: The Art of Beeing – a tour of the US by artist Louis Masai. 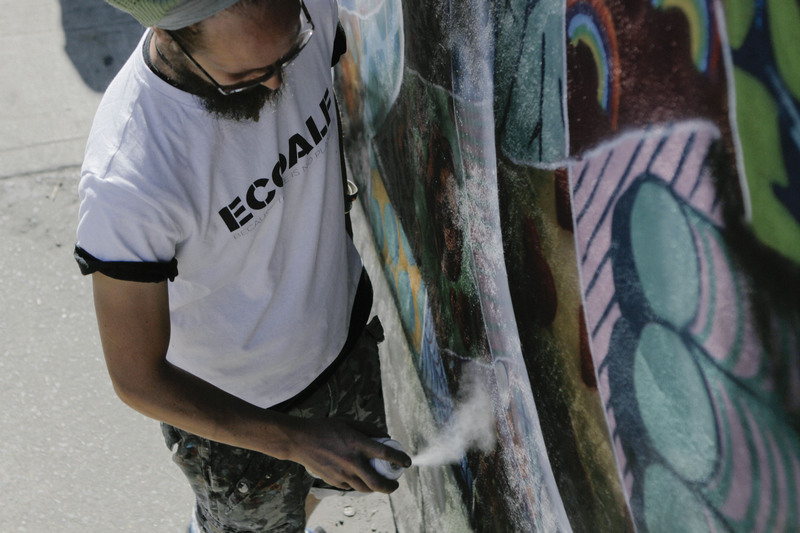 Partnering with EcoAlf, Defenders of Wildlife, Synchronicity Earth and more with one goal: to tackle the extinction crisis, one wall at a time. The most ambitious street art tour of its kind, it was covered by press across the US including FOX News, The Huffington Post and our media partners BSA. Missed it? Don’t worry, we teamed up with film production company Where’s Kong to bring you an online film series to capture the art; the people; the issues; the cities and those vast US landscapes. Here they are, marking Louis Masai’s successful first US show ‘Sixth Extinction’ at C.A.V.E Gallery in LA this week. The Art of Beeing – New York City #1 from Wheres-Kong on Vimeo. The Art of Beeing – Detroit #2 from Wheres-Kong on Vimeo. The Art of Beeing – California #3 from Wheres-Kong on Vimeo. The Art of Beeing – Arizona/Texas/Tennessee #4 from Wheres-Kong on Vimeo. The Art of Beeing – Florida #5 from Wheres-Kong on Vimeo.